The master plan update addresses approximately 200,000 gross square feet of renovation and new construction, providing flexibility in facility improvements to address specific program needs, building footprint, and implementation. The plan allows the college to evaluate the most effective use of resources as it proceeds with campus development. 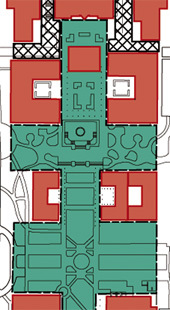 The open space element of the plan interprets and reinforces the historic Thomas Church landscape. 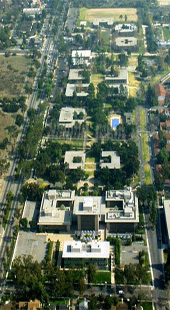 The campus periphery is transformed into a naturalized zone, establishing a contrast between the interior and exterior of the campus. The premier campus open spaces, the Great Mall and Liquidambar Mall, are returned to their prominence in the campus interior. Pedestrian connections to adjacent colleges are emphasized to encourage interaction.